Dino is cool. The first track sounds to me like he's been listening to Al Gafa's "Leblon Beach" record. Nice review of the new album at djangostation. 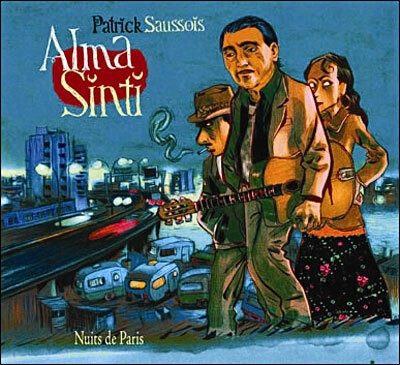 By the way, do you know anything about the upcoming Alma Sinti DVD from DjangoFest Northwest? Here's to another 10 years of Alma Sinti!! The new album is great, with nice string quartet on two tracks (reminding Crolla) and the excellent musician Dominique Vernhes. Resurrecting this old thread. Anyone know what happened to Dino? I picked up his Point de Depart CD in Samois around 2004. Really enjoyed it but I haven't seen much from him since. Anyone know if he is still making music? His website above seems stale from this above-mentioned CD release in 2006. Dino has been dealing with some personal issues. He's still playing but I don't think too much outside of Strasbourg. Check youtube, there are some more recent videos up. Thanks Ted. Always worry about "issues" when an artist of talent just disappears from a scene. I'll look for the vids. Check the his album "Intuitions" from 2006. Some great arrangements and ideas on that CD and it was pretty progressive for the time. Rhythm guitarists check out Franko. He is one of the best guys out there.